Posted on November 9, 2012 by Susan H.
Carla @My 1/2 Dozen Daily, hosted a Secret Sister Swap…on Wednesday, I was very excited to receive my Secret Sister Gift. Inside, I discovered colourful packages sealed with beautifully patterned washi tape. The washi tape alone should have clued me in to my Secret Sister…I had recently learned of a Secret Sister ‘washi tape lover’. 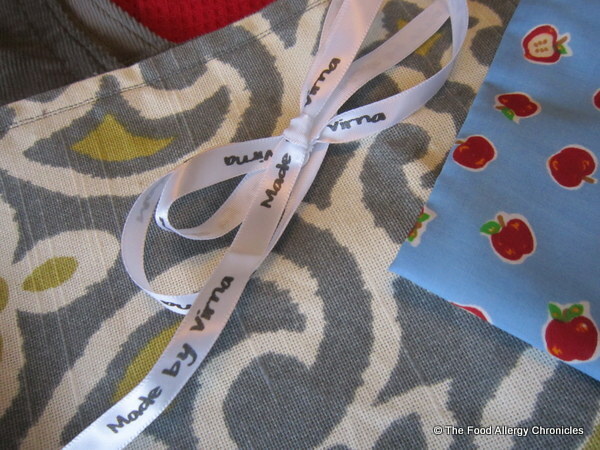 I knew it…my Secret Sister was none other than Virna @craftmates…my very own Secret Sister I was assigned to by Carla! 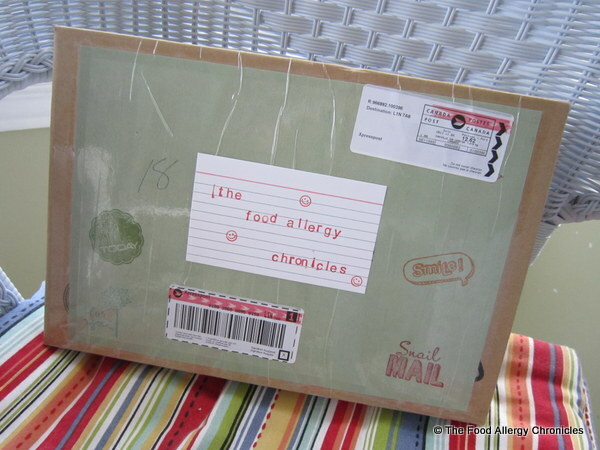 Click here for Virna’s reveal of her Secret Sister package from me. 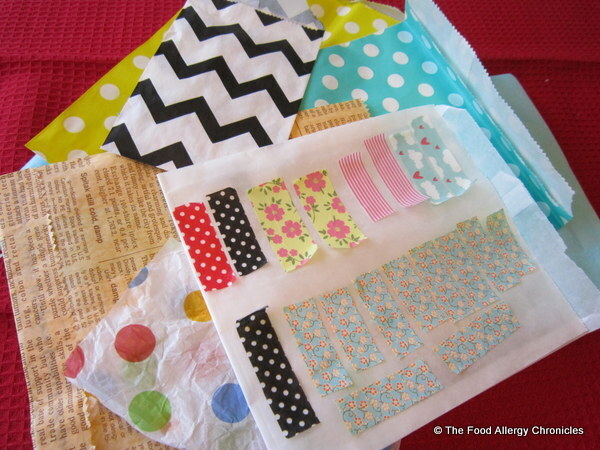 I meticulously peeled back each an every piece of washi tape…careful not to tear the paper bags or tissue. Underneath all the pretty paper and washi tape were all sorts of treasures. Magazines with recipes to adapt, red and white tea towels and a red owl coin purse to satisfy my love of ‘all things red’, a ‘kitchen inspired’ key fab, a gorgeous handmade grocery tote and reusable snack bag, handmade tags, notepad and kitchen themed calendar, and to top it off, Virna sent me an adorable elephant pendant. Matthew spied the bejeweled elephant right away…he loves everything to do with elephants! To tell you the truth…I was blown away! 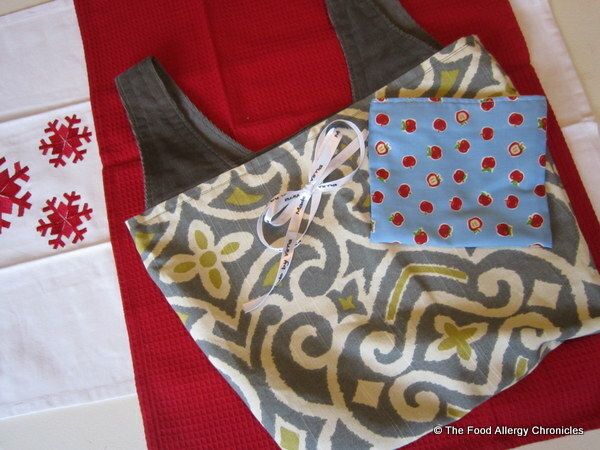 The wonderful tote bag and snack bag were hand sewn by Virna herself. The ribbon was inscribed with ‘Made by Virna’. 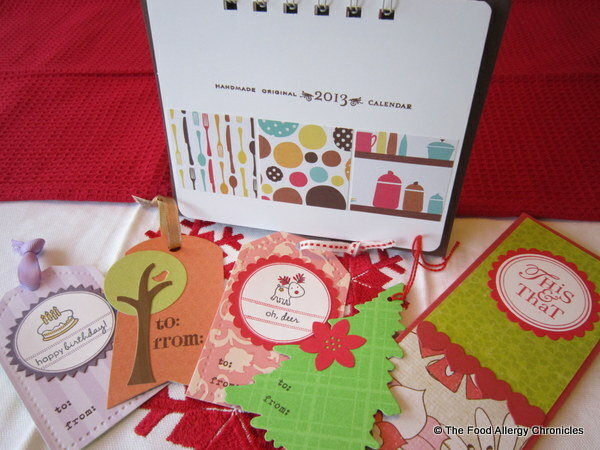 The calendar, notepad and stunning tags were handmade by Virna’s fellow craftmate…Irma. The tags are frame worthy! Thank you…thank you…thank you! The time and effort you dedicated to putting this incredible Secret Sister package together is greatly appreciated! P.S. These ladies are super talented! Craftmates will be attending their first craft fair this weekend, November 10 and 11th 2012, in Milton, Ontario. If you live in the surrounding area I would definitely try to swing on by. Click here for further details. …I couldn’t just throw it away! Needless to say…I think I am now a washi tape lover myself! 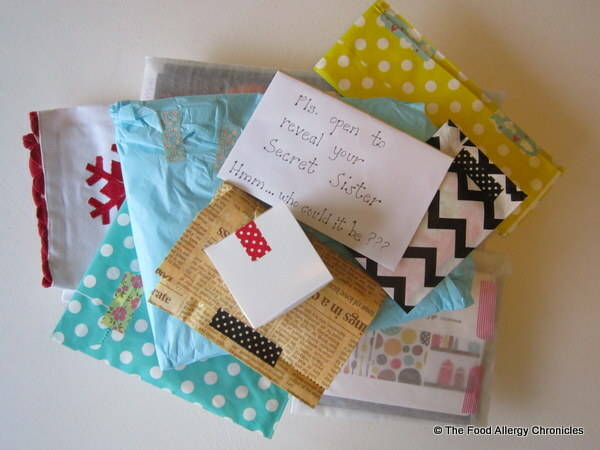 Have you participated in a Secret Sister Swap before? This entry was posted in Secret Sister Swap and tagged Carla @ My 1/2 Dozen Daily, Carla @ My 1/2 Dozen Daily's Secret Sister Swap, craftmates, handmade calendar, handmade gift tags, handmade grocery tote bag, handmade notebook, handmade snack/sandwich bag, Secret Sister Swap, Virna @ craftmates, washi tape by Susan H.. Bookmark the permalink. I’m so glad you enjoyed the package I sent you. 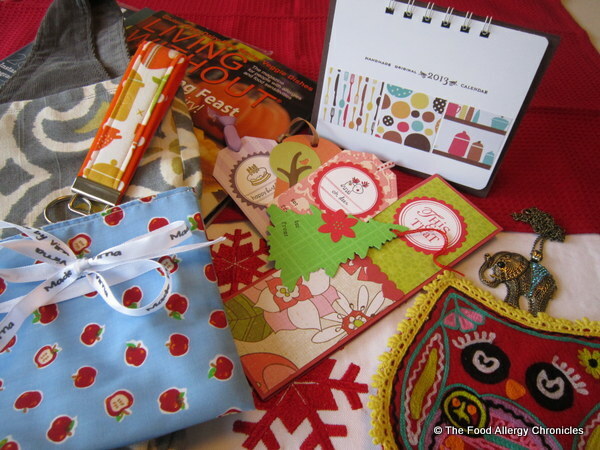 Special thanks to my fellow craftmate, Irma, who provided the fabulous tags, calendar, and note pad.